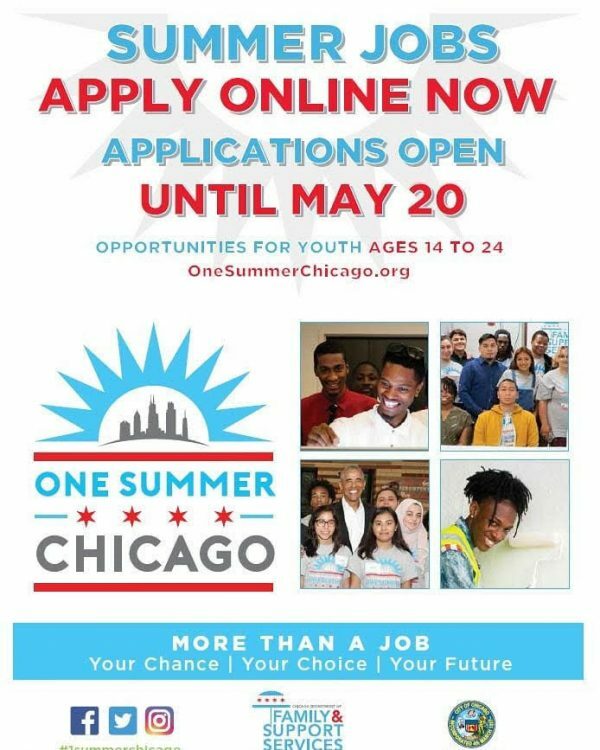 The city has opened its One Summer Chicago application for Chicago youth looking for a job this summer. More than 32,000 summer job and internship opportunities are available to Chicagoans ages 14 to 24. The 2019 One Summer Chicago program will run for six weeks from July 1 through Aug. 9. A new program with One Summer Chicago is “summer fast track,” which will provide high school seniors with a career and technical education pathway. About 200 high school seniors will take high school and college level CTE courses, and access a basic certificate at no cost. Opportunities include camp counselors, urban agriculture and outdoor forestry projects, and private sector experience through a number of corporations and small businesses, the Chicago Sun-Times reported. “These are jobs that can help change the direction of a young person’s life long after summer has ended,” Mayor Rahm Emanuel said in a statement.